R. Kattina said: Six thousand years shall the world exist, and one [thousand, the seventh], it shall be desolate, as it is written, And the Lord alone shall be exalted in that day. Abaye said: it will be desolate two [thousand], as it is said, After two days will he revive us: in the third day, he will raise us up, and we shall live in his sight. It has been taught in accordance with R. Kattina: Just as the seventh year is one year of release in seven, so is the world: one thousand years out of seven shall be fallow, as it is written, And the Lord alone shall be exalted in that day,’ and it is further said, A Psalm and song for the Sabbath day, meaning the day that is altogether Sabbath — 35 and it is also said, For a thousand years in thy sight are but as yesterday when it is past. The Tanna debe Eliyyahu teaches: The world is to exist six thousand years. In the first two thousand there was desolation; two thousand years the Torah flourished; and the next two thousand years is the Messianic era, but through our many iniquities all these years have been lost. Also, according to the Old Testament, the covering of the head is a sign of shame, not “submission to G-d.” Jeremiah 14:3 And their nobles have sent their little ones to the waters: they came to the pits, and found no water; they returned with their vessels empty; they were ashamed and confounded, and covered their heads. 4 Because the ground is chapt, for there was no rain in the earth, the plowmen were ashamed, they covered their heads. Also, the New Testament instructs us not to cover our heads because it dishonors Messiah. 1 Corinthians 11:4 Every man praying or prophesying, having his head covered, dishonors his head. 1 Corinthians 11:7 For a man indeed ought not to cover his head, forasmuch as he is the image and glory of God: but the woman is the glory of the man. The Torah instructs us that only the sons of Aaron are to wear any type of head covering and only for temple service. Exodus 28:40 And for Aaron’s sons thou shalt make coats, and thou shalt make for them girdles, and bonnets shalt thou make for them, for glory and for beauty. Exodus 29:9 And thou shalt gird them with girdles, Aaron and his sons, and put the bonnets on them: and the priest’s office shall be theirs for a perpetual statute: and thou shalt consecrate Aaron and his sons. Leviticus 8:13 And Moses brought Aaron’s sons, and put coats upon them, and girded them with girdles, and put bonnets upon them; as the Lord commanded Moses. Leviticus 6:11 And he shall put off his garments, and put on other garments, and carry forth the ashes without the camp unto a clean place. Leviticus 16:23 And Aaron shall come into the tabernacle of the congregation, and shall put off the linen garments, which he put on when he went into the holy place, and shall leave them there. “There is no Talmudic basis for forbidding a man to walk around bareheaded. In the period of the Mishnah and the Talmud, wearing a head covering was only a custom of piety observed by some of the SAGES IN BABYLON, particularly after marriage. 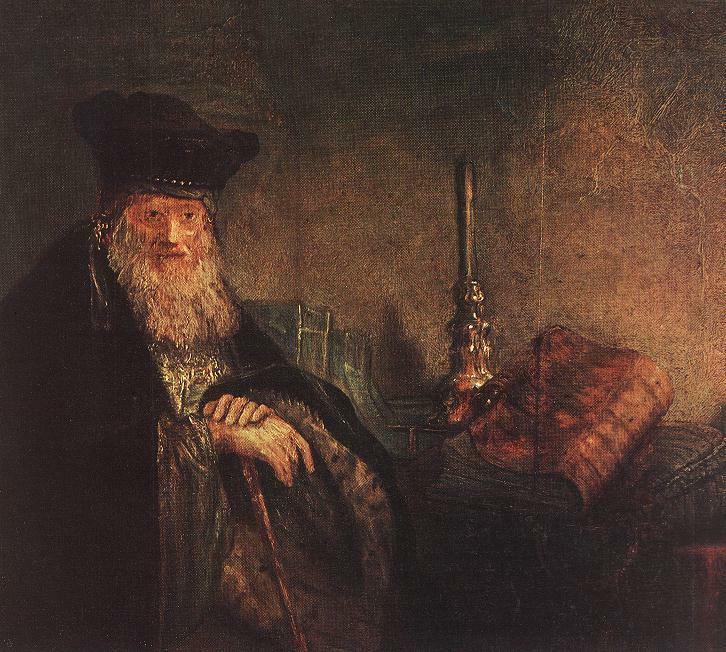 After the Talmudic period, authorities differed greatly in their decisions about wearing a head covering and were influenced by the customs of their country and by the conditions of their time. 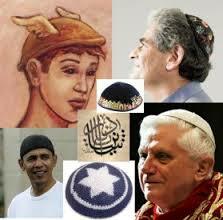 In our day, wearing a kippah is primarily a symbol of Jewish identity. As such, it is undoubtedly good and advisable for a man or a boy to wear a kippah even when he is not praying. On the other hand, it is clear that whoever does not adopt this custom does not commit any transgression. Further, The Second Jewish Book of Why, by Rabbi Alfred J. Kolatch informs us, “There are no regulations in the Bible that require men keep their heads covered. The Bible does not even require headcoverings for men entering the sanctuary or participating in a religious rite or service. Only Priests were required to wear headgear (Exodus 28:4), and this when officiating at the Temple altar or when performing other priestly functions” (p.49). “In Palestine, a person in mourning generally followed the ancient custom of covering the head, but the Talmud indicates that those who came to comfort him and to recite prayers before him did not cover their heads. The minor Talmudic tractate Seforim, which was composed in Palestine, clearly states that a man with uncovered head may serve as the Torah Reader and may lead the congregation in reciting the Shema, something not permitted in BABYLONIAN synagogues” (p.49-50). “It is clear that according to Jewish law that there is no compelling reason for Jews to wear a headcovering. Nonetheless, for the reasons indicated above the BABYLONIAN CUSTOM of keeping one’s head covered not only during prayer but at all times became accepted by all traditional Jews” (page 51). It is a violation of Torah to add to YHVH’s Laws. Deuteronomy 4:2 Ye shall not add unto the word which I command you, neither shall ye diminish ought from it, that ye may keep the commandments of the Lord your God which I command you. Deuteronomy 12:32 What thing so ever I command you, observe to do it: thou shalt not add thereto, nor diminish from it. For as Jonah was three days and three nights in the whale’s belly; so shall the Son of man be three days and three nights in the heart of the earth. Then Jonah PRAYED unto the Lord his God out of the fish’s belly, And said, I cried by reason of mine affliction unto the Lord, and he heard me; out of the belly of hell cried I, and thou heard my voice. Jonah 2:3 For thou had cast me into the deep, in the midst of the seas; and the floods compassed me about: all thy billows and thy waves passed over me. And while he yet spoke, lo, Judas, one of the twelve, came, and with him a great multitude with swords and staves, from the chief priests and elders of the people. Then did they spit in his face, and buffeted him; and others smote him with the palms of their hands,68 Saying, Prophesy unto us, thou Christ, Who is he that smote thee? Jonah 2:5 : the depth closed me round about, THE WEEDS WERE WRAPPED ABOUT MY HEAD. Jonah 2:7 When MY SOUL FAINTED within me I remembered the Lord: and my prayer came in unto thee, into your holy TEMPLE. Jesus, when he had cried again with a loud voice, YIELDED UP THE SPIRIT. Likewise also the chief priests MOCKING HIM, with the scribes and elders, said, 42 He saved others; himself he cannot save. If he be the King of Israel, let him now come down from the cross, and we will believe him. 43 He trusted in God; let him deliver him now, if he will have him: for he said, I am the Son of God. Psalm 22:25 My praise shall be of thee in the great congregation: I WILL PAY MY VOWS before them that fear him. Jonah 2:6 yet hast thou brought up my LIFE FROM CORRUPTION, O Lord my God. Jonah 2:10 And the Lord spoke unto the fish, and it vomited out Jonah upon the dry land. Friday Night was Night #2, when he was in the tomb. Saturday Day was Day #2. He was still in the tomb resting on the Sabbath. Saturday Night was Night #3. He was still in the tomb. And, behold, there was a great earthquake: for the angel of the Lord descended from heaven, and came and rolled back the stone from the door, and sat upon it…6 He is not here: for he is risen, as he said. Come, see the place where the Lord lay.7 And go quickly, and tell his disciples that he is RISEN FROM THE DEAD; and, behold, he goes before you into Galilee; there shall ye see him: lo, I have told you. 34 And they shall mock him, and shall scourge him, and shall spit upon him, and shall kill him: and the third day he shall rise again. The Messiah told us plainly that he would be resurrected on the third day. If he were to spend 72 hours in the tomb, then he would have been resurrected on the fourth day. Therefore, since we know the third day was the resurrection day, then all we have to do is count backwards the remaining two days and three nights in order to understand when the count began. Has everyone heard of this famous Jewish Rabbi? Everyone knows that General Allenby took Jerusalem in 1917. 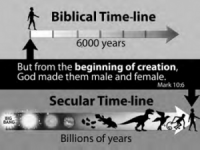 So, according to Rabbi Judah ben Samuel, the begining of the Messianic end time started in 1967. Counting Time from the Beginning of the World until 2011C.E. 10Declaring the end from the beginning, and from ancient times the things that are not yet done, saying, My counsel shall stand, and I will do all my pleasure. It is the glory of Elohim to conceal a thing: but the honor of kings is to search out a matter. 22He reveals the deep and secret things: he knows what is in the darkness, and the light dwells with him. The fear of the Yahweh is the beginning of wisdom: a good understanding have all they that do his commandments: his praise endures forever. 25And Methuselah lived 187 years and begat Lamech. Genesis 7:6 And Noah was 600 years old when the flood of waters was upon the earth. Total years from creation until flood is 1656. 32And the days of Terah were 205 years: and Terah died in Haran.Genesis 12:4 So Abram departed, as Yahweh had spoken unto him; and Lot went with him: and Abram was 75 years old when he departed out of Haran. 5And Abraham was 100 years old when his son Isaac was born unto him. Total years from creation until Isaac is born 2108. 13And He said unto Abram, know for sure that your seed shall be a stranger in a land that is not theirs, and shall serve them; and they shall afflict them 400 years. 26And after that came his brother out, and his hand took hold on Esau’s heel; and his name was called Jacob: and Isaac was 60 years old when she bare them. 1Then Joseph came and told Pharaoh, and said, My father and my brethren, and their flocks, and their herds, and all that they have, are come out of the land of Canaan; and, behold, they are in the land of Goshen. 8And Pharaoh said unto Jacob, How old art thou? 9And Jacob said unto Pharaoh, The days of the years of my pilgrimage are 130 years. Total years israelites sojourn in canaan 60 + 130 = 190.Total years from creation until israel enters egypt 2298. 40Now the sojourning of the children of Israel, who dwelt in Egypt, was 430 years. 41And it came to pass at the end of the 430 years, even the selfsame day it came to pass, that all the hosts of the LORD went out from the land of Egypt. Total years sojourn of abram’s seed is 190 in canaan + 210 in egypt = 400.total years sojourn of children of israel including abram before his seed was born is 400 + 25(Abram in Canaan) + 5(Abram in Harran) = 430. total years from creation until exodus is 2508. 1And it came to pass in the 480th year after the children of Israel were come out of the land of Egypt, in the 4th year of Solomon’s reign over Israel, in the month Zif, which is the second month, that he began to build the house of Yahweh. Total years from creation until temple started 2987. 1 Kings 11:42 Solomon reigned in Jerusalem 40 years. 1 Kings 14:21 Rehoboam reigned 17 years in Jerusalem. 1 Kings 15:1-2 Abijam 3 years reigned he in Jerusalem. 1 Kings 15:9-10 Asa 41 years reigned he in Jerusalem. 1 Kings 22:42 Jehoshaphat reigned 25 years in Jerusalem. 2 Kings 8:16-26 Jehoram reigned 8 years in Jerusalem. Ahaziah reigned 1 year in Jerusalem. 2 Kings 11:1 Athaliah 6 years did reign over the land. 2 Kings 12:1 Jehoash began to reign 40 years in Jerusalem. 2 Kings 14:1-2 Amaziah reigned 29 years in Jerusalem. 2 Kings 15:1-33 Azariah reigned 52 years in Jerusalem. Jotham reigned 16 years in Jerusalem. 2 Kings 16:1-2 Ahaz reigned 16 years in Jerusalem. 2 Kings 18:1-2 Hezekiah reigned 29 years in Jerusalem. 2 Kings 21:1-19 Manasseh reigned 55 years in Jerusalem. Amon reigned 2 years in Jerusalem. 2 Kings 22:1 Josiah reigned 31 years in Jerusalem. Jehoiakim reigned 11 years in Jerusalem. Zedekiah reigned 11 years in Jerusalem. Total years from Solomon until Zedekiah is 420. 9And he burnt the house of Yahweh. Total years from creation until temple burned 3405. The temple was burned in 586 b.c.e., making the year of creation 3991 b.c.e. Enoch translated to heaven 3004 B.C.E. 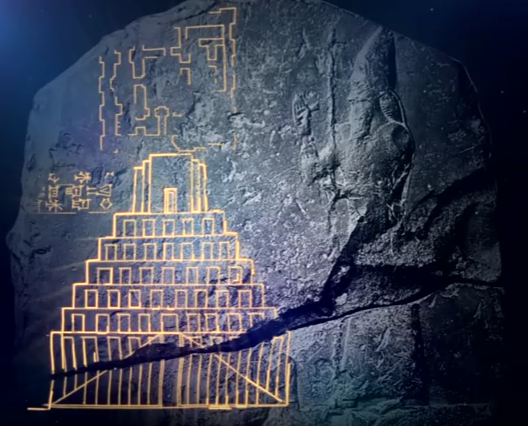 Tower of Babel 2234 B.C.E. Solomon starts Temple 1004 B.C.E. Nebuchadnezar Burns Temple 586 B.C.E. Year 6000 = 2010 C.E. Biblical chronology records that Enoch was translated to heaven in 3004 B.C.E. The ancient Sanskrit writings of the Hindus in India record that Krishna ascended to heaven in 3102 B.C.E. The ancient Mayans start their calendar in 3114 B.C.E. This is just 12 years from the year that the Hindus have Krishna ascend to heaven. The ancient Chinese date the Great Flood to 2357BCE during the time of Yao. Lieh Zi, a Taoist who lived in the 5th century BCE; tells of an ancient Chinese legend of one named Nuwa who repaired the heavens after a great flood. Biblical chronology has Noah’s Flood at 2335 B.C.E. Alexander the Great captured Babylon in 331 B.C.E. The Chaldean priests showed Alexander all their astronomical records going back to the founding of Babylon. The records went back 1903 years. 331 B.C.E. + 1903 years = 2234 B.C.E. for the founding of Babylon. Rome conquered King Philip of Macedonia in 197 B.C.E. Ancient Roman historians record that from the time of Ninus (Nimrod) until King Philip conquered was 1995 years. 197 B.C.E. + 1995 years = 2192 B.C.E. Nimrod co-reigned 62 years with his father Cush. 2192 B.C.E. + 62 years = 2254 B.C.E. Biblical chronology has the Tower of Babel 2234 B.C.E. The ancient Chinese record that their first king Shun (Nimrod) was the son of Cush. They record the start of his reign as 2254 B.C.E. Biblical chronology records the tower of babel as 2234 B.C.E. 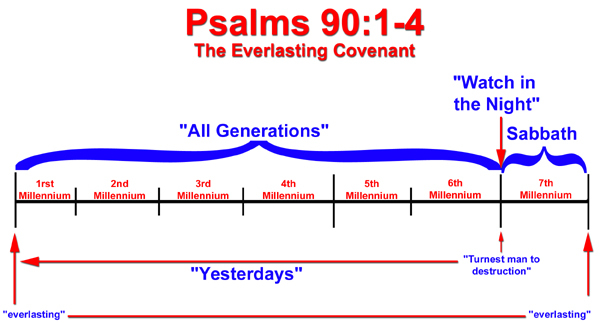 Biblical chronology records the Year 6000 as the year 2010 C.E.-2011C.E. The ancient Mayans record that the current age of this world ends in 2012 C.E. Therefore, we can conclude that the Mayans were trying to predict the beginning of the 7th millenium when the Messiah would return and set-up his kingdom here on Earth. Israelites from the time of Solomon were wandering about America 2500 years before Columbus discovered it for himself. This is found in the Scriptures where King Solomon sent out his ships around the world for 3 years at a time. 21 All King Solomon’s goblets were gold, and all the household articles in the Palace of the Forest of Lebanon were pure gold. Nothing was made of silver, because silver was considered of little value in Solomon’s days. 22 The king had a fleet of trading ships at sea along with the ships of Hiram. Once every three years it returned, carrying gold, silver and ivory, and apes and baboons. The stone inscription is carved in ancient Paleo-Hebrew letters. These are almost identical in shape and font-style with Phoenician characters. Each line in the message is to be read from right to left. In the Hebrew written language there are no vowels. It only uses consonants. Each statement is separated from the next one by a dot sign. This separation style is not uncommon for old Hebrew or Phoenician inscriptions. E.g. the Middle Eastern Moabite Stone (9th century B.C.E.) follows a similar pattern using dot separators between words. The Los Lunas inscription starts with the top line, continues on the 3rd line, goes back into the 2nd line (that one was inserted later, hence the smaller line spacing), it then goes on with the left half of the 3rd line and continues all the way down to the last line. I am Yahweh your Elohin who has taken you out of the land of Egypt, from the house of slaves. There must be no other elohim before my face. You must not make any idol. You must not take the name of Yahweh in vain. Remember the sabbath day and keep it holy. Honour your father and your mother so that your days may be long in the land that Yahweh your Elohim has given to you. You must not murder. You must not commit adultery. You must not steal. You must not give a false witness against your neighbour. You must not desire the wife of your neighbour nor anything that is his. 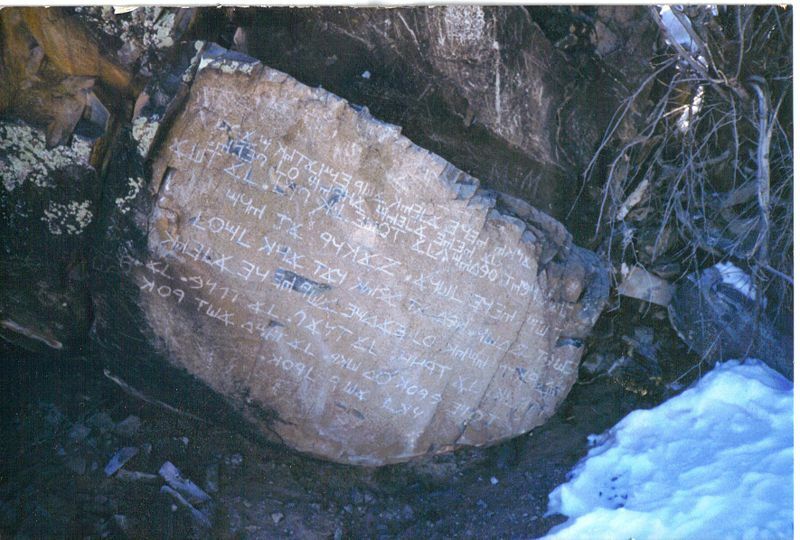 “The Los Lunas Decalogue Stone is a large boulder on the side of Hidden Mountain, near Los Lunas, New Mexico, about 35 miles south of Albuquerque, that bears a very regular inscription carved into a flat panel. The stone is also known as the Los Lunas Mystery Stone or Commandment Rock. The inscription is interpreted to be an abridged version of the Decalogue or Ten Commandments in a form of Paleo-Hebrew. A letter group resembling the tetragrammaton YHWH, or “Yahweh,” makes three appearances. The stone is controversial in that some claim the inscription is Pre-Columbian, and therefore proof of early Semitic contact with the Americas. REFERENCES FOR FURTHER STUDYCline, Donald, “The Los Lunas Stone,” Epigraphic Society Occasional Publications 10 (1982, part 10), 68-73. Matches, Fuel, Smoke Wood, Etc. Plastic Pitcher to Mix Thick Gravy to Soak and rub Lamb( Lemon Juice, 2 Garlic Minced Heads, 1 Bunch Rosemary, 1 Bunch Chives, 1 Bunch Parsley, 1 Chopped Onion, Oregano, Basil, Red Wine, Balsamic Vinegar, Olive Oil) Do This Hours Before Cooking. 1) You will need a 6 foot spit and 2 foot high holders on each side. 3) Put the spit through the mouth, stomach, and back end next to spine. 4) Using two “U” clamps or passing two wires around the skewer and exiting the back of the lamb prevents the lamb from spinning during turning. 5) Use twine to tightly tie the lamb to the spit so it will stay on and not spin. 6) Tie up both the front and back legs forward so they don’t droop in the fire. 7) Make 2 piles of coals 1/3 under shoulders and 2/3 under the rear. 8) Let coals cook for 1 hour before starting to roast lamb. 9) Place fire coals in back of fire pit and lamb and spit in front of it with a pan underneath to catch the juices. 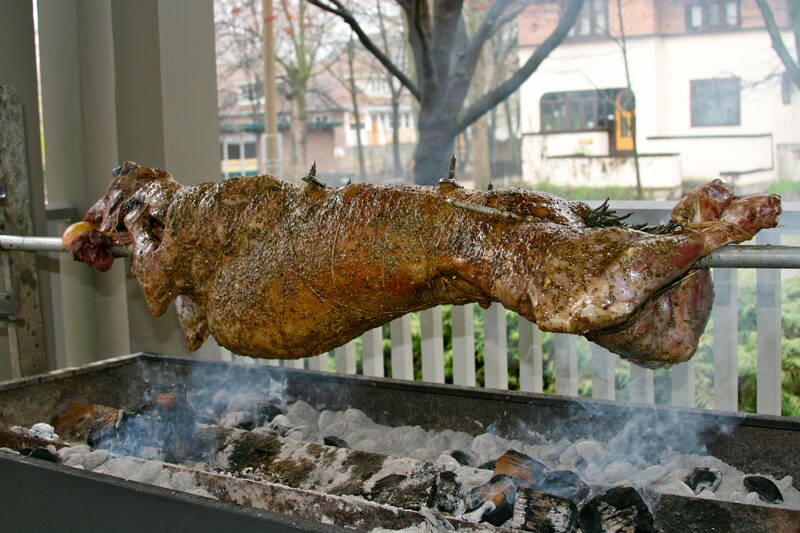 10) It takes 3-4 hours to roast a lamb. 11) Add more coals to fire about every 15 minutes or so. 12) Also, use a little bit of water soaked smoke wood every 15 minutes. 13) Baste lamb with olive oil every half hour. 14) Drain the stomach juice before taking off the spit. 15) Let lamb rest for 15 minutes before carving. Put Clean Shower Curtain on Table and Carve. 2013-2015: The Year of War for Israel? When four consecutive lunar eclipses are all total eclipses, the group is known as a tetrad. 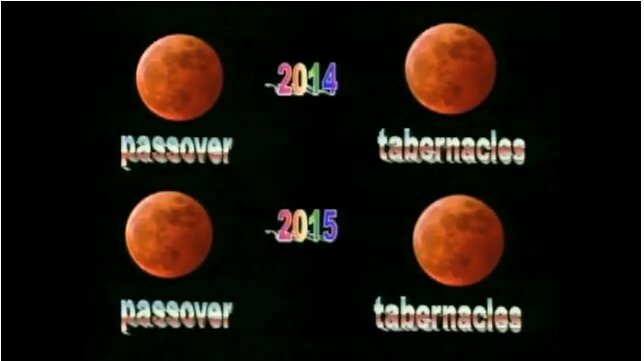 We have had blood-red moons on the first day of Passover and the first day of Sukkot on back-to-back years seven times since 1 A.D.
What will occur in the 2013–2015 time period? The other blood-red moons on the first day of Passover and the first day of Sukkot were in 162/163 A.D., 795/796 A.D., 842/843 A.D. and 860/861 A.D.
We don’t have any historical connections for these years at this time, but we do know of significant Jewish persecution during the eighth and ninth centuries. In all eight examples, the eclipses have fallen or will fall on the first day of Passover and Sukkot. The eighth occurrence of back-to-back, blood-red moons will be in 2014–2015. The real shocker is that this phenomenon is extremely rare, for this pattern of eclipses to fall on both Passover and Sukkot in two years in a row, and for a solar eclipse to occur on important Holy Days in the same year (2015). This intriguing, incredible discovery comes from Mark Biltz, pastor of El Shaddai Ministries, in Bonner Lake, Washington. Biltz was intrigued with the statement in the Scriptures that connect the second coming of the Messiah with “signs in the heavens,” particularly the signs that “the sun will be turned into darkness and the moon into blood” before the return of the Messiah. He went on the internet, to the U.S. Government NASA website to see if there were any significant eclipses of the sun and moon during the next few years. To his surprise, he discovered four lunar eclipses in the year 2014/2015, and was intrigued by the fact that they occurred on Jewish annual Holy Days! Says J. R. Church, in a letter accompanying the magazine issue, “Four lunar eclipses occurring on the Feast of Tabernacles and Passover in two successive years are phenomenal. But add to them two solar eclipses on the two days that open the Jewish year – Adar 29/Nisan1, just two weeks before Passover, and Tishri 1 (Rosh Hashannah) – is uncanny. On each of these six Jewish Holy Days, the sun will be darkened and the moon will not give her light. Will this happen again in the 21st century? No. Did it happen in the 20th century? Yes, in 1949/1950, the year following Israel’s statehood, and 1967/1968, the year Jerusalem was liberated in the Six-Day War! Before that, you have to go back to 1493 for four successive lunar eclipses on Passover and the Feast of Tabernacles” (May 2008 letter). In summary, it seems that each time there is to be blood-red moons on the first day of Passover and the first day of Sukkot on back-to-back years, then Israel or the Jews have to go through some kind of tribulation, be it persecution or war. But the good news is that they seem to be victorious in the end and gain more land or territory as a result. So, if the historical pattern holds true for 2014-2015, then we can expect some kind of war for Israel and the Jews between 2013-2015, but they will be victorious in the end and gain more territory or land as a result.